Located on the Fulda River, Kassel in a lovely city in northern Hesse, Germany. 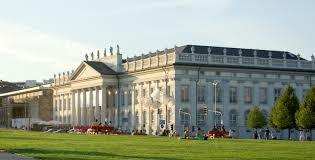 It has become a hub of the contemporary art world with its documenta exhibition. This is also the place where the stories of the Brothers Grimm began. The city has made a name for itself as the venue for the documenta art exhibition with its bold artworks. It is often referred to as the “museum of 100 days”. A monument to the Enlightenment spirit is the Friedericianum Museum. 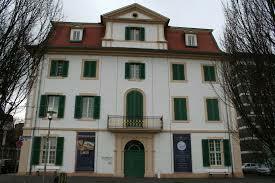 It became one of the first public museums on mainland Europe after its completion in 1779. The exhibition is held every five years attracting visitors to experience, admire and discuss artwork. 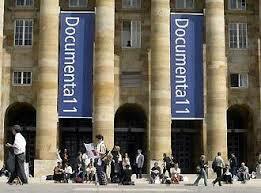 The Documenta Hall was built for documenta 9 in 1992. This building has a total of 1,400 square meters of exhibition space and an additional usable space of 700 square meters. The hall was designed by arhitects Jourdan and Muller and is host to many exhibitions, seminars and conferences in the years between the documenta exhibitions. Beautiful Bergpark Wilhelmshohe is a UNESCO World Heritage Site that covers an area of two-and-a-half square kilometers. 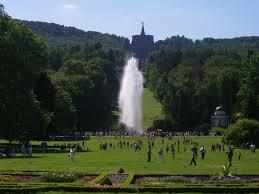 It is Europe’s largest hillside park with the beginning in 1696 and took 150 years to complete. The highest point in the park is Karlsberg Mountain at 526 meters. This park has been laid out in an English country garden style. 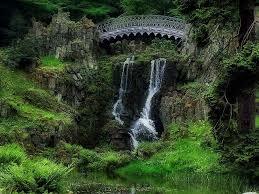 There are many interesting things to see such as Steinhofer Waterfall and the Devil’s Bridge. The waterfall ends at the Great Fountain in Schlossteich Lake where natural pressure shoots water 52 meters into the air. 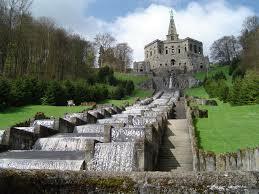 Very impressive is the Hercules Monument from which a long water cascade plunges to the gardens below. On summer evenings the huge Great Fountain, the cascades and the figure of Hercules are illuminated. There are also a series of baths designed for sport and recreation. Two of the leading figures in German cultural history are the Brothers Grimm – Jacob Grim and Wilhelm Grimm. 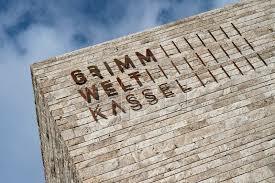 In Kassel starting from 2015 the Grim World will be presenting the world-famous Brothers Grimm in the place where they used to live and work. This is the place where they started collecting children’s and household fairy-tales and began the German dictionary. On display will be original documents and interactive features to put the visitor right in the midst of it all. 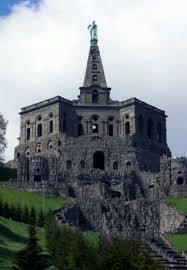 Kassel is popular for being the hometown of the famous Brothers Grimm for a few years . When they graduated from school the brothers worked in the town library where they began doing the research that would be the foundation of their famous folktales. Visitors can visit the Bruder Grimm Museum to see original copies of their fairy-tales, scholarly works, letters and translations in lots of languages. Brothers Grimm fans can also visit the little town of Hamelin some 140 kilometers north of Kassel which is the setting of the famous Pied Piper of Hamelin folktale. This folktale is re-enacted in the town center every Sunday during the summer. Visitors enjoy taking the German Fairy-tale Route that stretches for over 600 km from Hanau to Bremen via Kassel. It links the towns, villages and landscapes that are associated with the Brothers Grimm and their fairy-tales. Lots of the places along this route offer theater and concerts and there is plenty of culture and history in the castles and palaces. Festival after festival brings fairy-tales, legends and myths to life offering visitors a chance to join in. 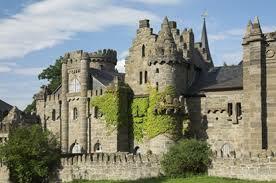 Other highlights on this route include puppet theaters, open-air plays and fairy-tale weeks. To be able to see and enjoy it all it is advisable to walk or cycle this route and enjoy the scenery along the way. Schloss Wilhelmshöhe the 17th century palace has played an important role in German history. At one time it was the summer residence of Kaiser Wilhelm II. Today it is home to the Wilhelmshohe Castle Museum, including the impressive Gallery of Old Masters with a collection of Dutch paintings among them 17 Rembrandts, 11 van Dycks and lots of Italian and Spanish paintings. Other highlights include a print cabinet, collections of classical and prehistoric antiquities as well as displays of furniture, glass and ceramics. For visitors there are guided and audio tours available. The lovely wooded Karlsaue Park sits on the banks of the Fulda River, an area in the excess of 400 acres. It was created as a landscape garden with many Baroque features. The park has many artificial lakes, fountains and canals. 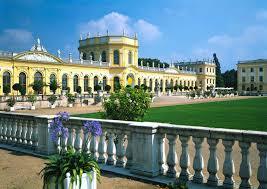 One of the highlights is the palatial Orangerie, with its Planetarium and scientific instrument collection. Visitors enjoy the amazing flower-covered island of Sienbenbergen and the Marble Baths built in 1720. To the east is Fulda-Aue, a recreation area popular for bathing, windsurfing and summertime regattas. Art lovers enjoy the New Gallery. 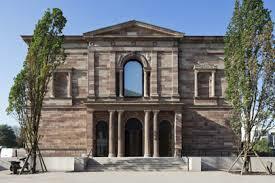 It opened in 1976 with a collection of artwork including contemporary paintings from the 19th and 20th centuries. Other highlights include artwork in the Romantic and Impressionist styles and a large collection of German Expressionists and numerous sculptures by Joseph Beuys.